Hi. Been looking at the Smik spitfire 8'6" and the JP surf wide body 8'2". I know different lengths but like the specs of both . Any feedback on either ? I have a 8,8 widebody....it's a fun user friendly board that turns easy on a wave. If I was after a board with higher performance I would pick the Smik due to its pulled in tail which to me means you can keep your back foot planted at centre without having to move it from rail to rail to initiate a hard turn. & the rocker looks a little more than the JP which helps on the steeper drops. And the slimmer width may help for down the line speed. I have the JP wide body 8ft 2inch. I use it & love it for its stability due to its wider width & flatter deck. Great for those areas where you get messy chop that bounces back from the rocks & breakwalls. Very comfortable board to stand on. So it all depends what your main use would be. I am a boardwhore. I have a custom based off the JP widebody and love it. I am also now trying to get a Smik hipster. Nope. Ask Scotty for details. The SMIK hipster twin would have an outline similar to the JP, but would perform differently since it is a twinnie. The SMIK spitfire is narrower, has more rocker, and is more in the JP Pro family from a design standpoint. There is a great vid out there that Piros did for surf FX comparing five performance boards including the JP, SMIK, Fanatic. Hopefully, a sharp lad from down under can copy the link. you're almost right. We stared there, Severne moved to there. And now there's been some technology movement which is another story unto itself. This was the initial factory we started working with but moved to another independent factory in thailand. Thanks. Heck I remember the JP Downwinder. I still have V6 fins I bought for my Slate. Five of 'em! But V2 is markedly superior shape. As always it's the smallest increments that can make the biggest differences. Ridden both and they are chalk and cheese. WP was a pig in anything over shoulder high but Spitfire rips in anything up to double OH. Chalk and cheese. Bet that's Ozzie for Say What? U cannot be serious! Completely different. Rails, rocker, planshape..
Is the blue / yellow V1, and the orange / blue V2? okay good to hear. I have a wp 8.10 and find him a bit slow, but is well stable and start pretty quickly. May I ask how heavy you are, and what more can you tell about the Smik 8.6 he differs a lot with a 8.8? No totally different beasts. Please demo do not just take my word for it. Everyone has opinions. 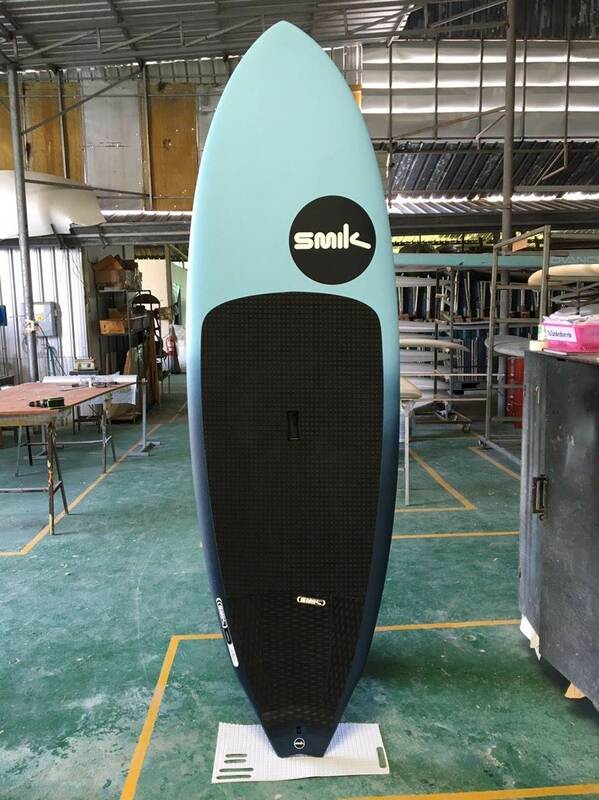 I find the Smik 8 6 at 105 kg pretty easy to paddle and great to surf up to 2 x OH. The 8 10 WP was ridiculously easy to paddle but hard to turn at speed due to thick rails. Gets down to what you want out of a sup. I prefer surfability over stability when paddling, you can always sit down out the back.